808 eligible applicants consisting of 50% Malays, 30% Chinese, and 20% Indians and others Johorean races received offer letters to Bangsa Johor Dream Homes at an official ceremony in the Johor Land Mutiara Complex in Bandar Dato’ Onn. Gracing the ceremony was His Royal Highness the Crown Prince of Johor, Tunku Ismail Ibni Sultan Ibrahim officially representing His Majesty, the Sultan of Johor, Sultan Ibrahim Ibni Almarhum Sultan Iskandar, who also handed over the official offer letters to the second phase of qualifying recipients. 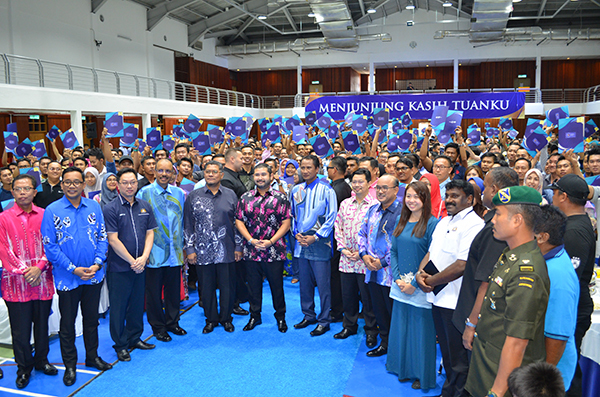 Flashback to March of 2017, when His Majesty, the Sultan of Johor graced and officiated the pre-launch of the Rumah Impian Bangsa Johor (RIBJ) where over 350,000 of his subjects flooded the registrations to own a dream home in Johor, which were subject to stringent vetting processes, to ensure that only the most eligible applicants receive the offer. The RIBJs are located in Bandar Dato’ Onn (BDO) and Bandar Baru Majidee, (BBM) Johor Bahru. The project in BDO will see the construction of 29 units of two-storey individual homes for Type A, 156 units of two-storey twin houses for Type B, 100 units of two-storey cluster homes and 203 units of two-storey terrace houses for Type C and Type D respectively. Located on a 52.7 acre plot of land, the BDO project is expected to be completed in 2020. Whereas, the BBM project will have a three-room apartment complex with a total of 320 units that is expected to be completed by the end of 2019 with it being about 90% completed at this time. Both RIBJ projects in BDO and BBM are carried out by Johor Land Berhad (JLand) as the authorised contractors by Johor Corporations (JCorp). In collaboration with the state government, these developments are in response to the initiatives taken by the Yayasan Sultan Ibrahim Johor (YSIJ) to build homes for Johoreans. The Sultan of Johor through the Sultan Ibrahim Johor Foundation (YSIJ) wishes to ensure that every Johorean is able to own a dream home in the state at affordable prices. Applications were closed in November 2018 where 35 applicants received their offer letters for the first phase. 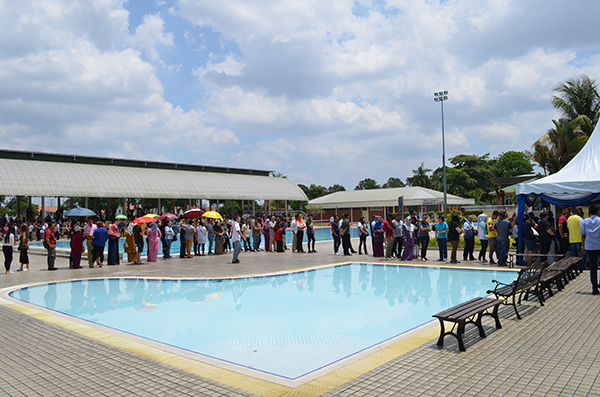 Also in attendance were Dato’ Haji Azmi Rohani (Johor State Secretary), Sr. Haji Dzulkefly Ahmad (Johor State Exco for Housing and Rural Development), Dato’ Kamaruzzaman Abu Kassim (President and Chief Executive of JCorp, Fadhly Suffian Laili (YSIJ Chief Executive Officer), and other state officials. The RIBJ project will not end here with similar developments coming up state-wide. Since the announcement of the RIBJ project in Mersing, Johor last November, soon to be launched will be the RIBJ project in Batu Pahat district at Taman Mutiara Gading, Johor which will feature 210 terrace units being built.